Beer Dip| A little bit salty made with real beer and pairs perfectly with your favorite pretzels. Game day just got a whole lot tastier! Really score with your hungry game watching guests and make your own Soft Beer Pretzels. Scroll down for a hot and spicy version of this dip. Call the gang over for a fun night of watching the game and eating! This Beer Dip fits right in with game watching food. 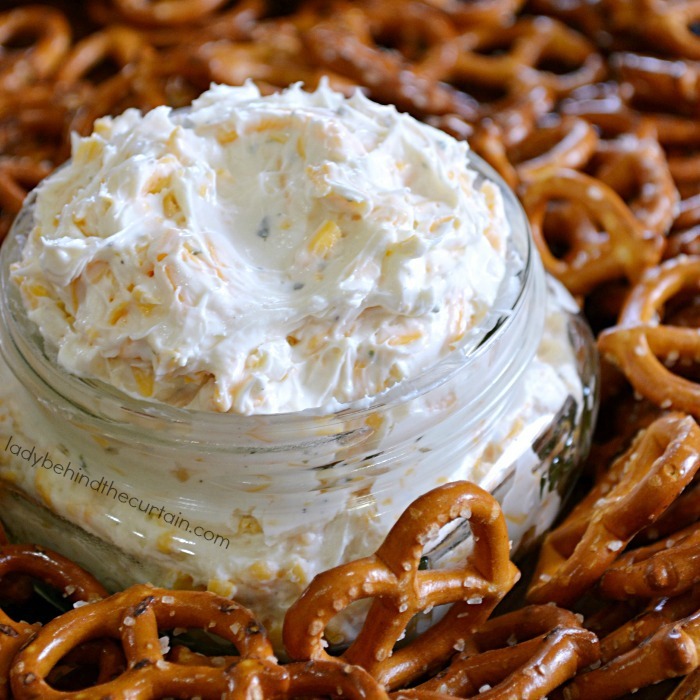 While the jalapeno popper burgers are on the grill the gang can be enjoying this yummy easy to make dip. 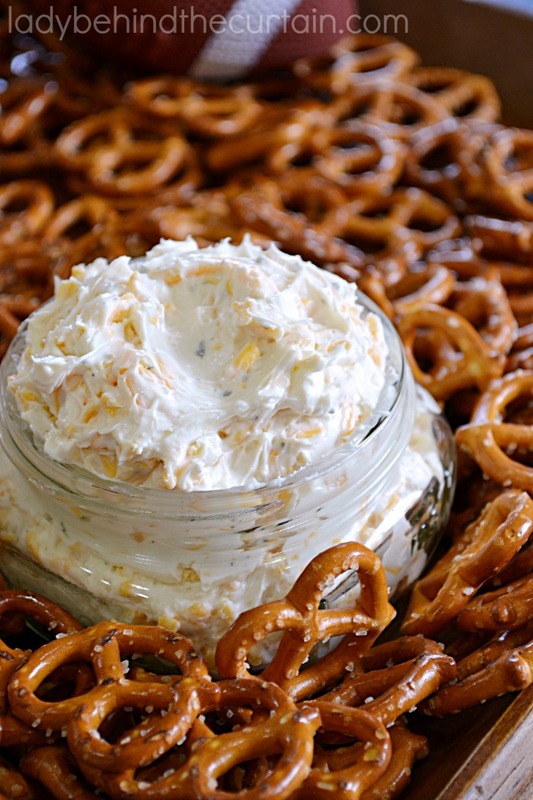 TO…..ADD THIS BEER DIP RECIPE To your Game Day Pinterest Board. Don’t have a Game Day Board? Let me help you build one with over 300 recipes and counting! NOTE: This dip is a little on the salty side; which makes it a perfect match with beer. If you are not serving beer with this dip I would recommend you add the Ranch dressing a little at a time and do a taste test to make sure it satisfies your taste buds. I love salty things. Some people don’t. ALSO….want to add a little spice? Create TWO dip dishes from one recipe. Make the dip as instructed, set aside. Then make the dip again…also as instructed, but this time also add chopped jalapeno peppers! TIP: If you’re like me and love the flavor of jalapeno peppers but not the spice, use fresh peppers, remove the seeds and you’re set! Otherwise make it easy on yourself and use canned jalapeno peppers and bring on the heat! In a large bowl, beat the cream cheese, beer and dressing mix until blended. Hi Sheryl! 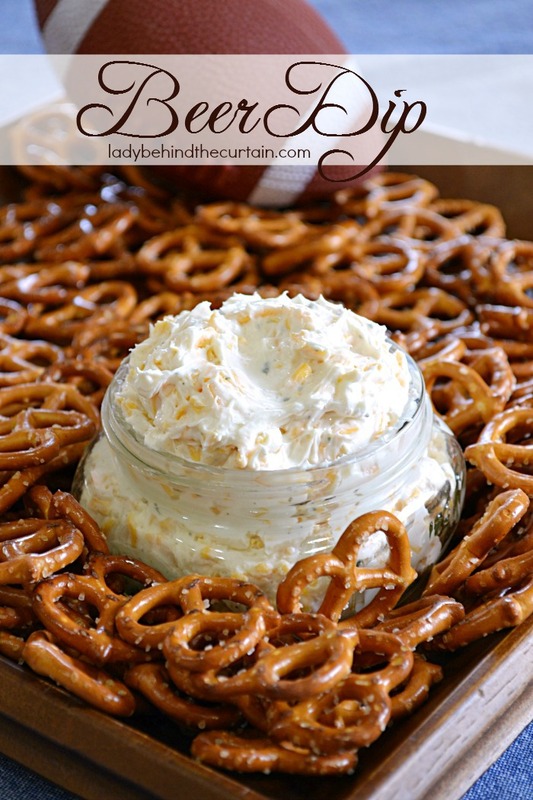 This beer dip looks soooo good! I love making dips as they’re so easy, but tasty. I’m also like a beer now and then 🙂 I’ve pinned this and thanks for sharing! I love the idea for this dip but I have a question. Here in Australia we only get liquid Ranch dressing, not in a packet to make up. What could I do to still make this recipe? Me too! It is good! Serving it up at the Purdue football game this weeekend! It is 4 packages of 8ozs or 4 to 8 ozs of cream cheese? Is the ranch salad dressing mix the regular or the buttermilk dressing mix? I can’t wait to try this on super bowl sunday.. What I want to know wish beer do put in it? Thank you! Hi Irene, Whatever beer you have around. I think I might of used bud light. This dip sounds very good! Thank you for posting and Go, Broncos! This dip is always a hit! It has become my “go to” recipe for a crowd. It is so easy to prepare. If I have peppers, olives or leftover corn, I add them. Is there a substitute for the beer? Hi Linda, You could use milk. That is totally up to you Al. Has anyone ever made a Mexican version of this? I typically make this for all my parties and my guests LOVE it. But my next party has a tacos and tequila theme, so I’d like to have my “famous” beer dip go along with the theme. Hi Haley, I haven’t tried to make a Mexican version. I love the idea….I’ll have to think about this one. Let me know if you come up with something. This was perfection. Great to pair warm with other meats as a dip too. What about putting crumbled bacon in it too? Awesome Wanda! It’s a great appetizer! Hi! Can this be made the day before? Hi Chris, Like most dips this Beer Dip is even better if made a day ahead.